"The Wolf people, who weren't very good dancers, were having a potlatch. Deer came in and began to dance. He wrapped cedar bark around his ankles, and as he danced around the fire, he mystified the Wolf people with his dancing. 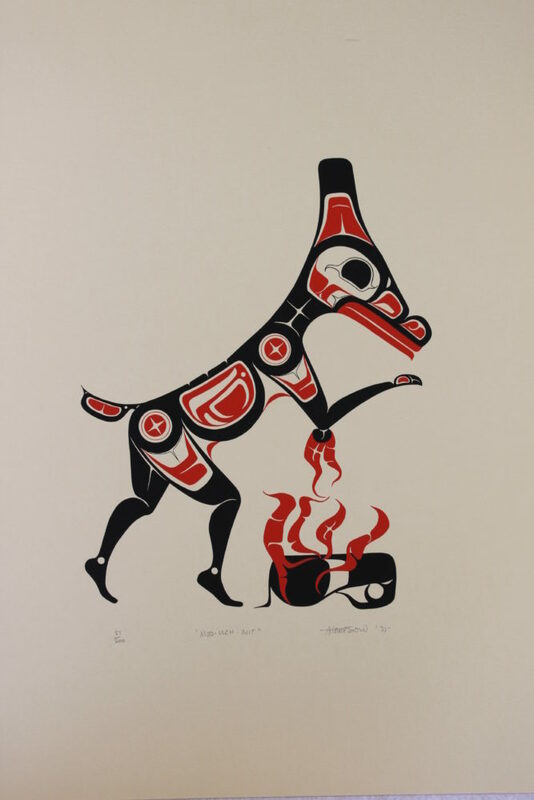 This print depicts Deer as he danced too close to the fire and his anklets caught on fire." 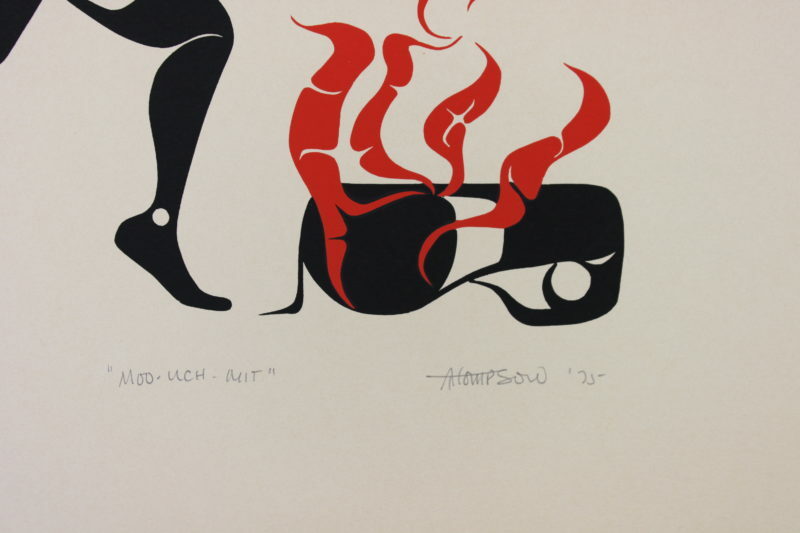 This limited edition silkscreen print titled "Moo-Uch-Mit" by Art Thompson was hand produced by the screen printing process. It is the only limited edition printing of this design. The artist has inspected and signed each copy in the edition. All trial copies of this edition have been destroyed and the printing stencils obliterated.